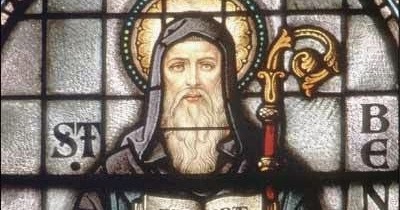 Catholic News World : Listen to St. Benedict of Nursia's Good Advice for Lent "...during these days of Lent to keep its manner of life most pure..."
Listen to St. Benedict of Nursia's Good Advice for Lent "...during these days of Lent to keep its manner of life most pure..."
. "...we urge the entire community during these days of Lent to keep its manner of life most pure 3 and to wash away in this holy season the negligences of other times. 4 This we can do in a fitting manner by refusing to indulge evil habits and by devoting ourselves to prayer with tears, to reading, to compunction of heart and self-denial. 5 During these days, therefore, we will add to the usual measure of our service something by way of private prayer and abstinence from food or drink, 6 so that each of us will have something above the assigned measure to offer God of his own will with the joy of the Holy Spirit (1 Thess 1:6). 7 In other words, let each one deny himself some food, drink, sleep, needless talking and idle jesting, and look forward to holy Easter with joy and spiritual longing."